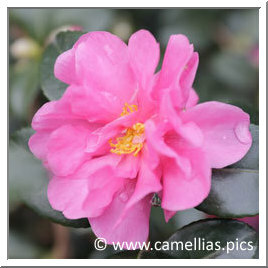 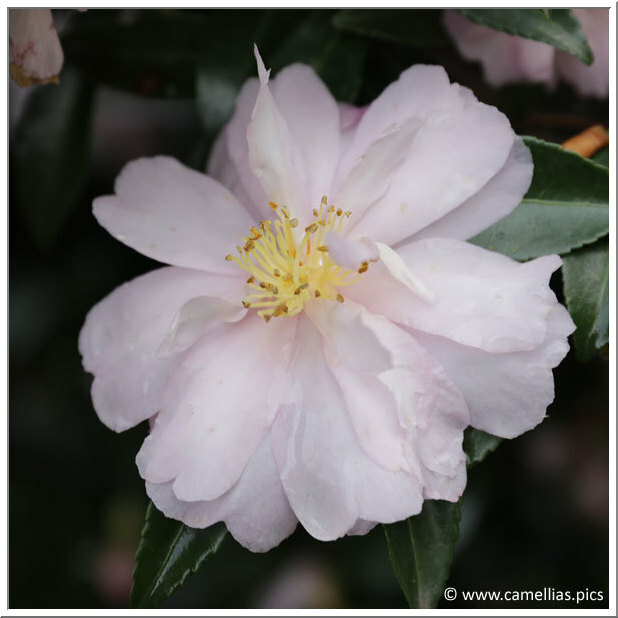 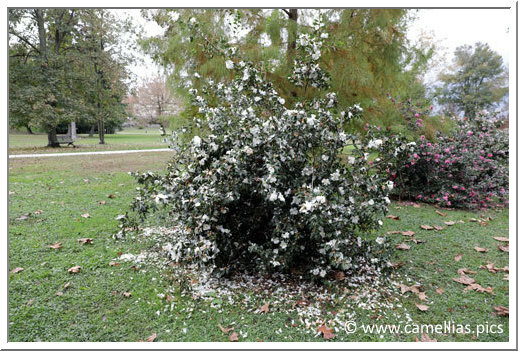 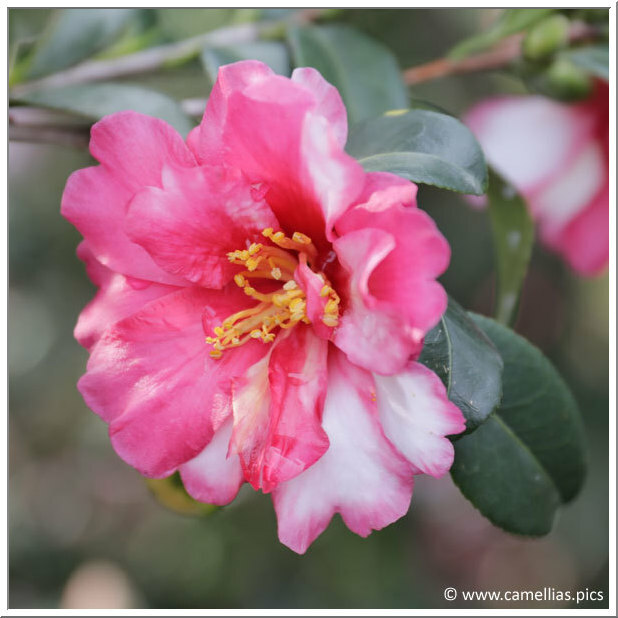 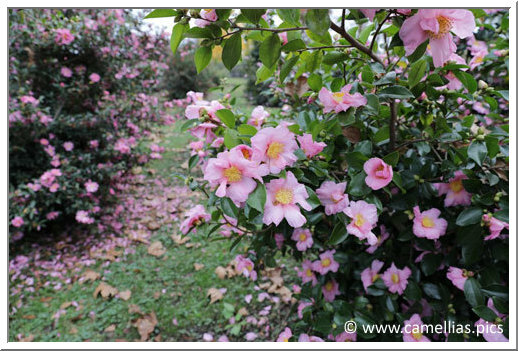 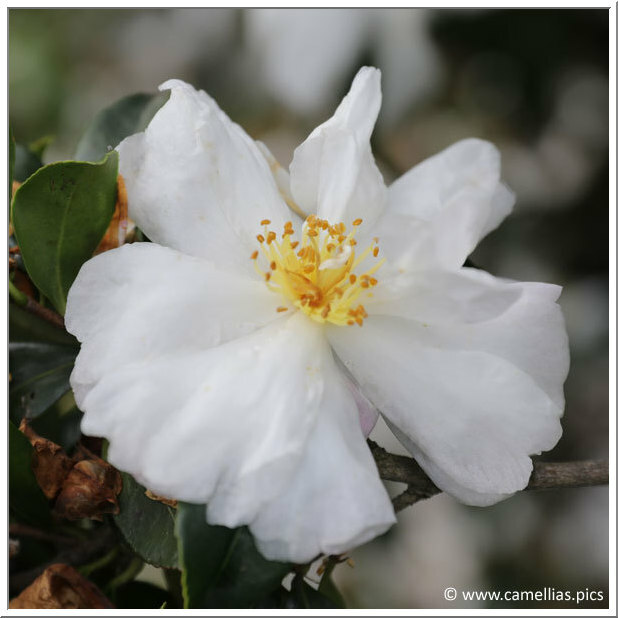 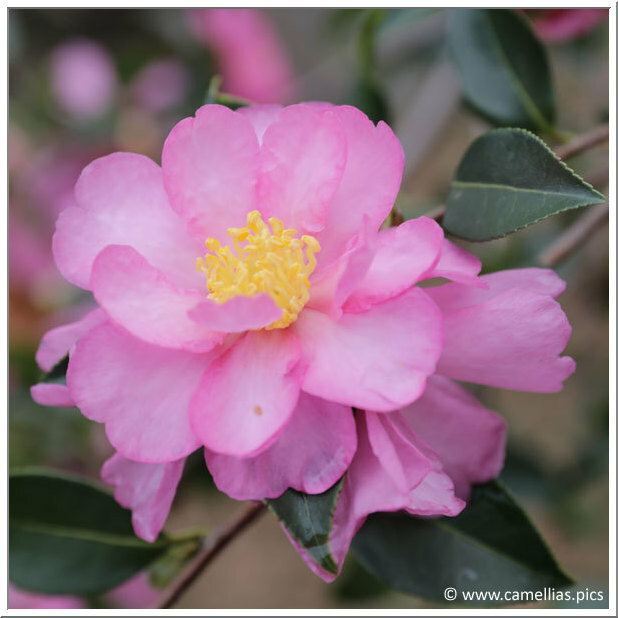 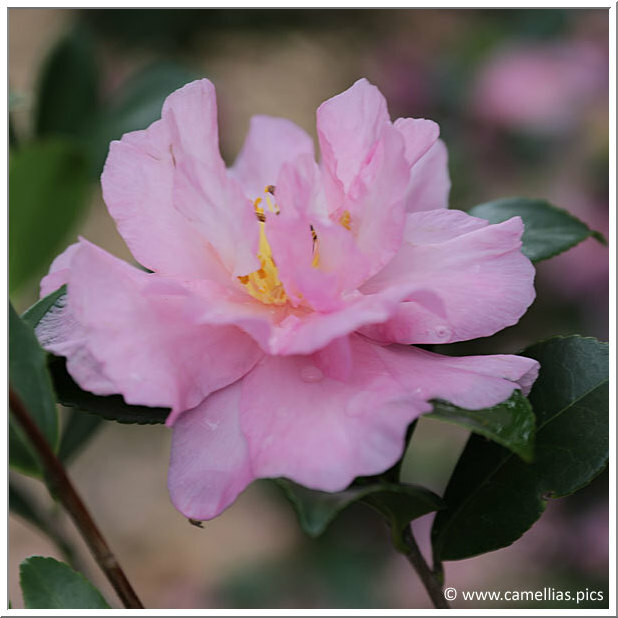 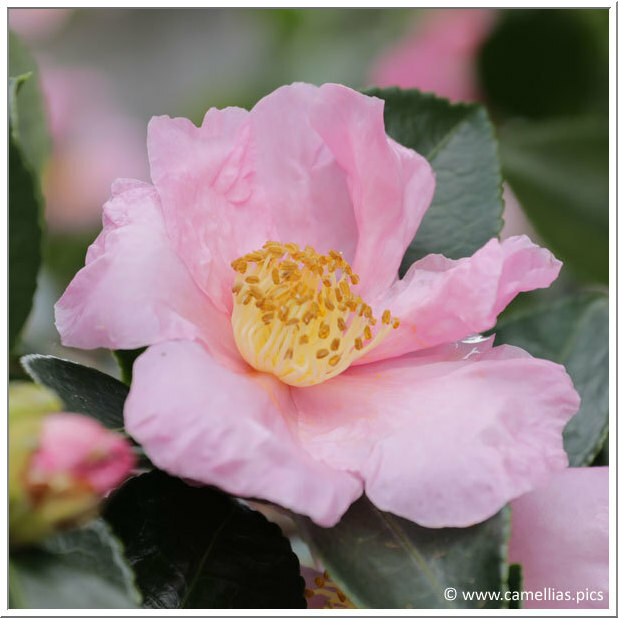 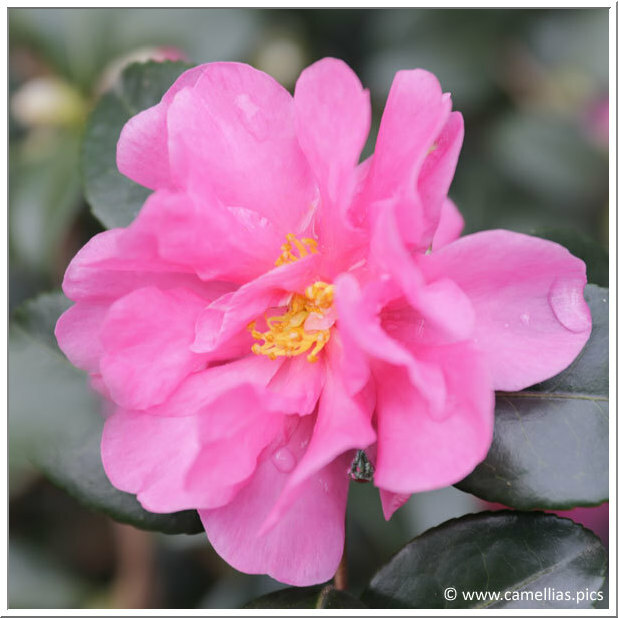 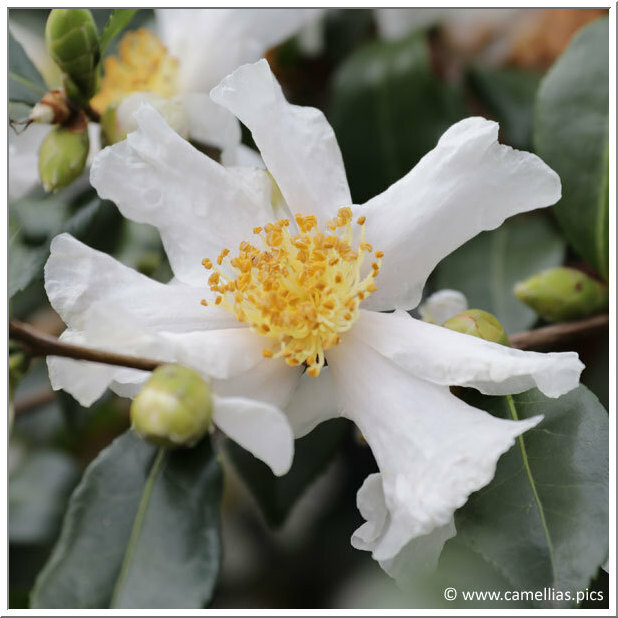 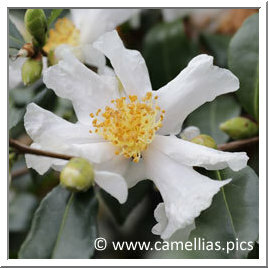 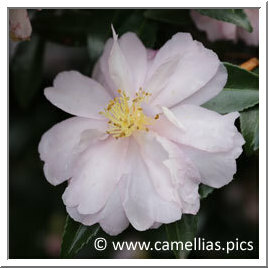 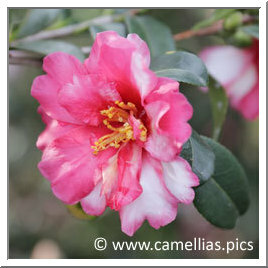 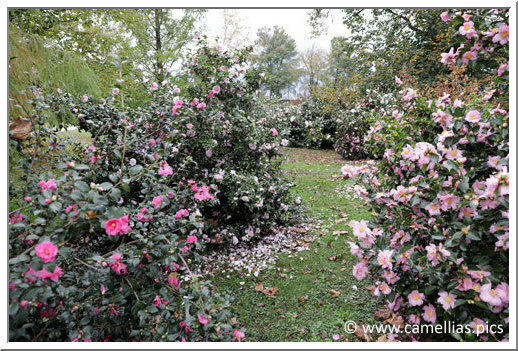 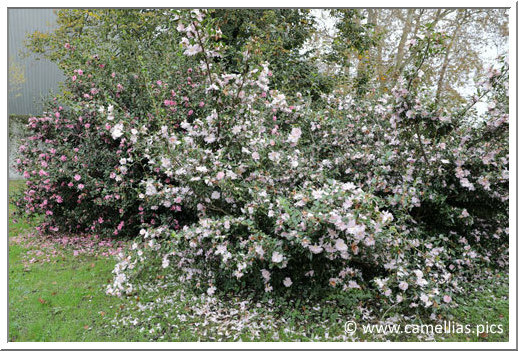 The camellias season begins in the autumn, with the flowering of sasanqua. 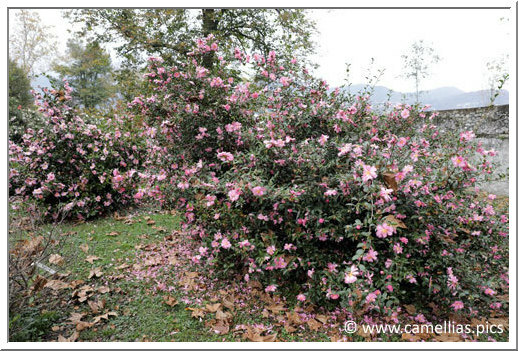 The climate of Lake Maggiore is particularly favorable for their growth. 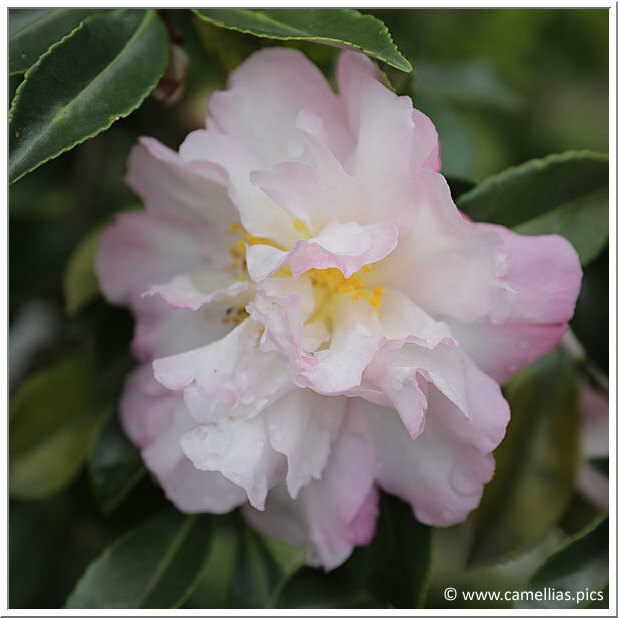 We returned, early November, the optimum period to make the most of early and later blooming. 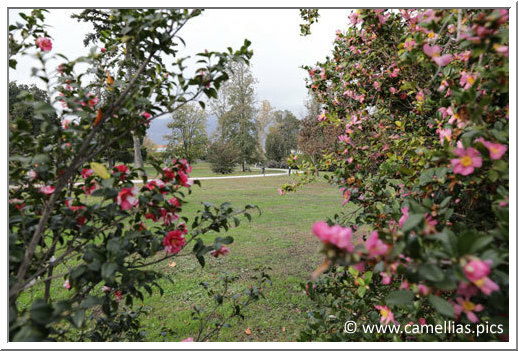 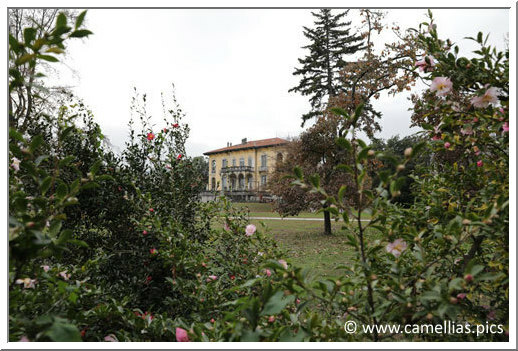 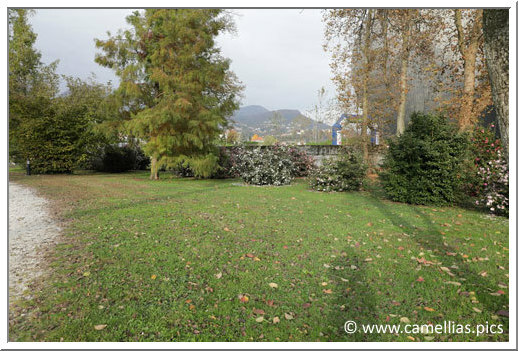 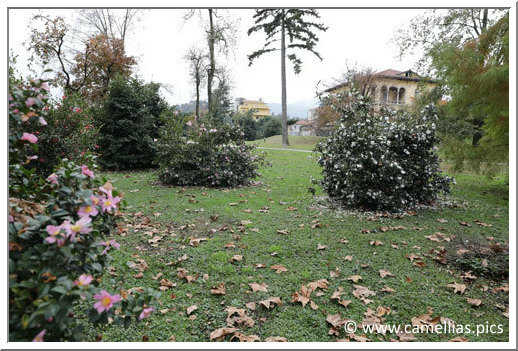 Here is the garden of Villa Maioni, in Verbania-Pallanza (VB). 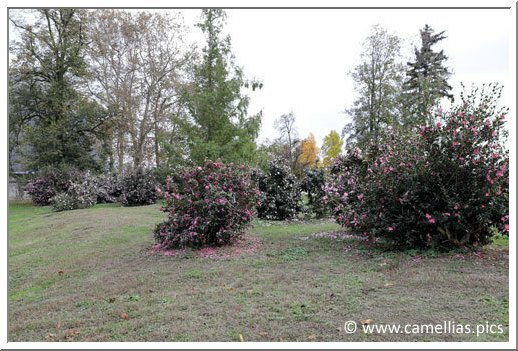 It is the public garden of the Biblioteca Civica Pietro Ceretti. 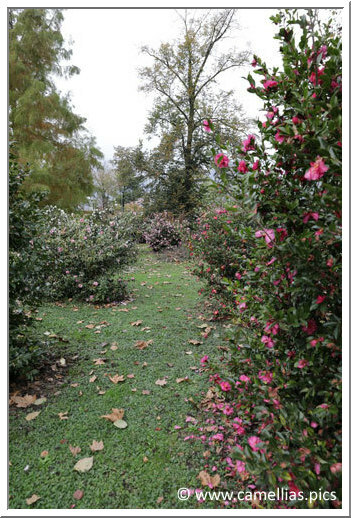 Access is free. 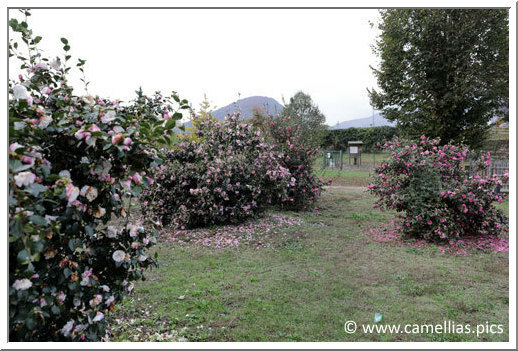 A collection of sasanqua was planted by the students of the University of Turin. 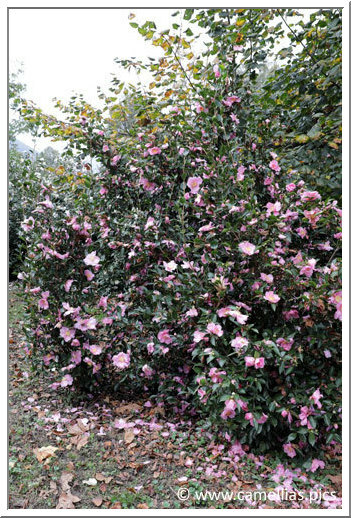 There are between 50 and 60 plants. 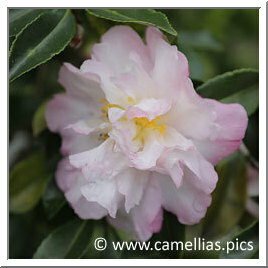 They are beautiful, quite high, very flowery and deliciously fragrant. 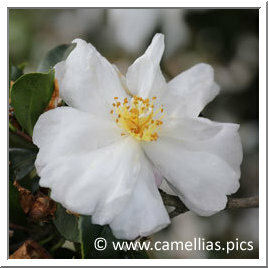 You can find known varieties, Italian obtentions and other varieties never seen before. 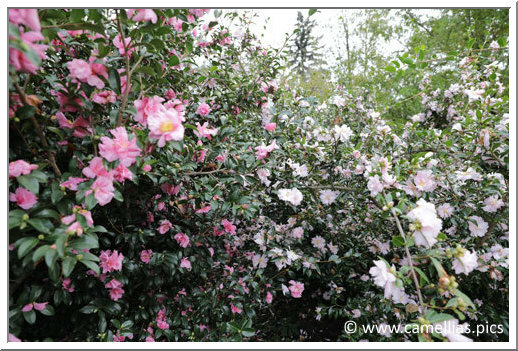 You will appreciate the size of the subjects in the photos. 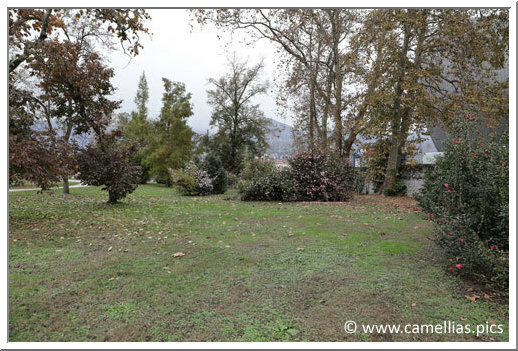 Parking is easy to find, it is accessible from the SS 34 (Via Vittorio Veneto) and free. 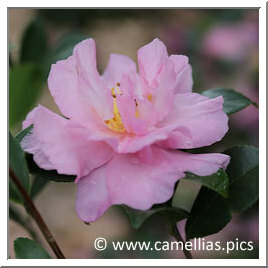 'Pink Lassie' the plant, above and below, and the flower on the right. 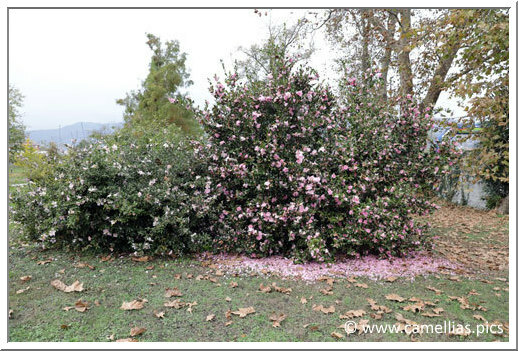 Two obtentions of Floricoltura Lago Maggiore, very close. 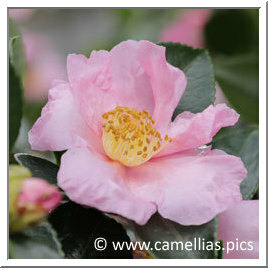 Some cultivars carry the initials of the nursery and a number. 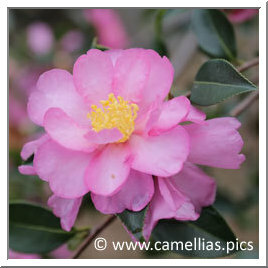 Below, the plant of 'F.L.M. 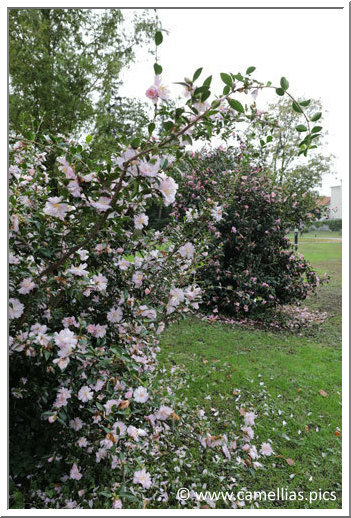 10 '. 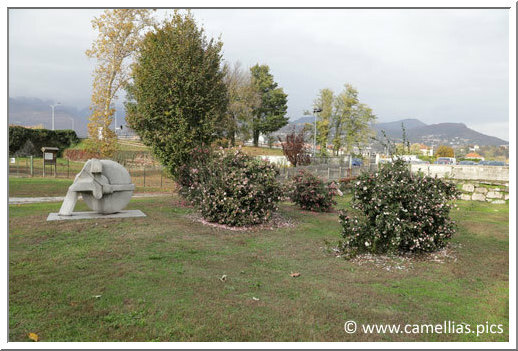 The view on a part of the collection at the end of the visit.